There is no area of IT getting more attention these days than security. Cybercriminals are more sophisticated and organized than ever before. Each day seems to bring new revelations that underscore how businesses are up against a new breed of threat actors that includes state-sponsored entities and cybercrime syndicates raiding corporate networks around the world. What's their weapon of choice? Malware. Keep reading to discover shocking stats and to learn what you, as MSPs, can do to best equip your clients! According to the Verizon 2013 Data Breach Investigations Report, 40% of data breaches involve malware. It's then not surprising that ThreatTrack Security processes more than 200,000 new malware threats every day. The Ponemon Institute’s November 2013 study, The Risk of an Uncertain Security Strategy, Study of Global IT Practitioners in SMB Organizations, found that over 50% of SMBs reported falling victim to malware attacks. Indeed, our research found that 69% of top enterprise executives are concerned their organization is vulnerable to these advanced malware threats. With the average cost of lost business associated with a data breaching topping $3 million, as discovered in the Ponemon study, business leaders are increasingly aware that one breach could spell disaster for their entire operation. What do these stats mean for your MSP business? Your clients are in trouble and are vulnerable to attack. They don’t know they’re in trouble. They need your help – and they probably don’t know that either! It is more important than ever to prepare your clients. Almost half of malware is propagated by users clicking on links or opening email attachments. These emails are well disguised and appear to come from a trusted source, which makes it difficult for users to detect malicious emails on their own. You need to arm your customers with more advanced cybersecurity solutions. Luckily, there are several ways to reduce the risk of a breach! Desperate Times Call for Proactive Measures! We hope you were able to stop by ThreatTrack Security’s booth and listen to Stuart Itkin speak at Navigate 2014 to learn how to better protect your customers from cybersecurity attacks. To learn more on how to fill the gaps and ensure your customers are protected, contact us at OEMSales@ThreatTrack.com. Looking for more tips and tricks of the MSP trade? 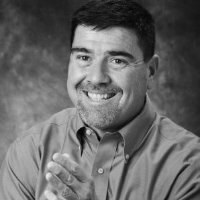 John Reumann is senior director of Global Sales and Channels for ThreatTrack Security. Reumann has more than 20 years of experience establishing and leading successful channel programs with a wide array of security vendors.